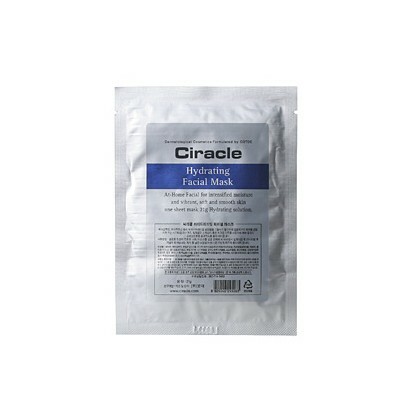 Ciracle Hydrating Facial Mask boosts your skin’s moisture with a rich, hydrating facial mask that visibly firms, plumps and revitalizes your face. 1. Take the sheet out of a pouch and place it on the clean face and pat gently. 2. Wait 20-40 minutes, then tissue off. 3. Use twice a week, or as needed.